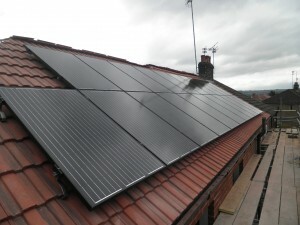 This semi-detached house in Chorlton has a south east facing rear roof. 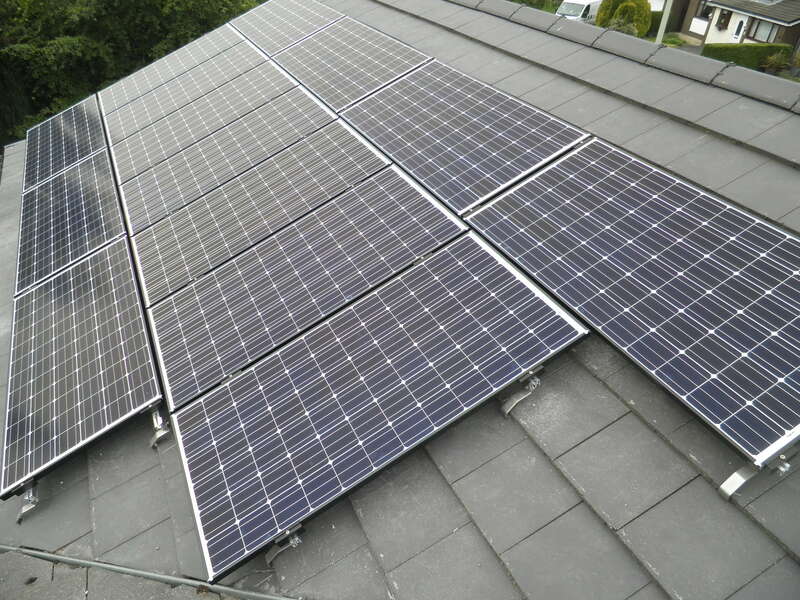 We installed 14 Seraphim 285W monocrystalline solar panels with a Solis 3.6-2G inverter. 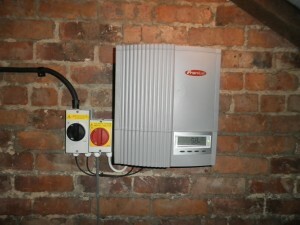 The yield projection for this system is 3132kWh per year. This semi-detached house in Denton has a south west facing rear roof. There’s a myth that domestic installations are limited to 4kW, but we installed 21 Phonosolar Onyx 250W all black monocrystalline solar panels with a Samil 5200TL-D inverter. 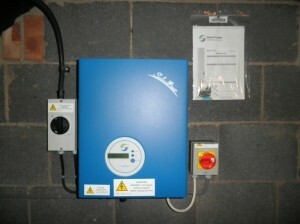 The yield projection for this system is 4121kWh per year. This semi-detached house in Wythenshawe has a south facing rear roof. 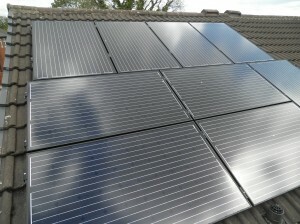 The customer wanted as much PV as possible so we used 10 Seraphim 285W monocrystalline panels with a Solis 2.5-2G inverter. The yield projection for this system is 2453kWh per year. This semi-detached house in Edenfield has a south facing rear roof. 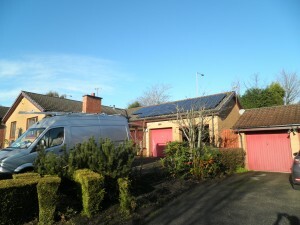 We installed 14 Panasonic 240W hybrid solar panels with a Samil 3300TL inverter. The yield projection for this system is 2990kWh per year. This stables in Edgeworth has a south facing roof. 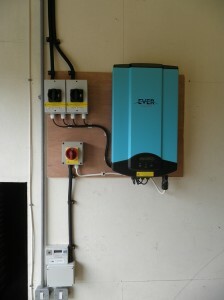 We installed 20 CSUN 200W monocrystalline solar panels with an Eversolar TL4000 inverter. This detached house in Bolton has a south facing roof. 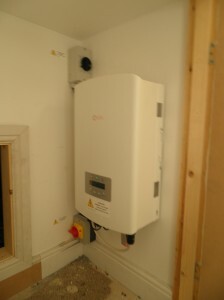 We installed 10 CSUN 200W monocrystalline solar panels with an Eversolar TL2000 inverter. 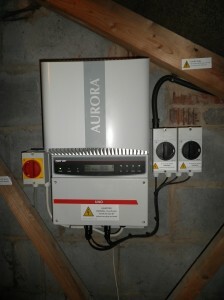 The yield projection for this system is 1716kWh per year. 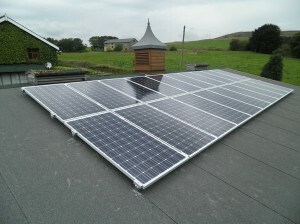 This detached house in Haslingden has a south facing roof. 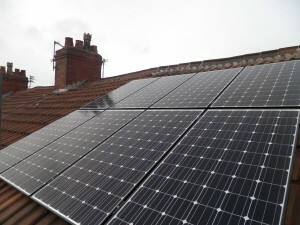 We installed 18 Hyundai 218W monocrystalline solar panels with a Samil 3680TL inverter. 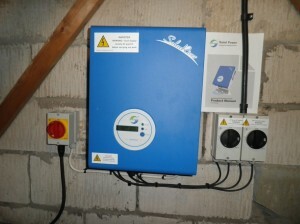 The yield projection for this system is 3221kWh per year. 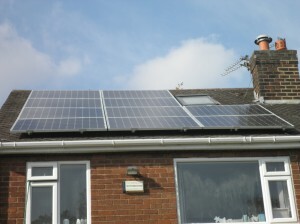 This detached house in Horwich has a south west facing roof. 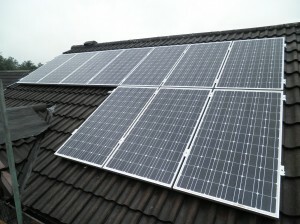 We installed 14 Winaico 250W polycrystalline solar panels with a Samil 3400TL-D inverter. The yield projection for this system is 2517kWh per year. 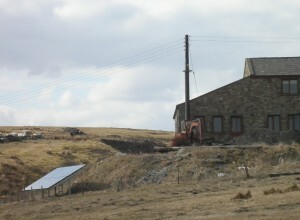 This farmhouse in Lumb had some ground that had no useful purpose. 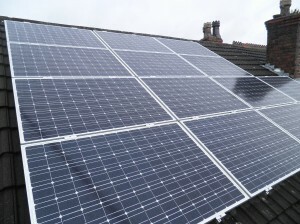 We field mounted 16 Suntellite 250W monocrystalline solar panels with a SMA Sunny Boy 4000TL inverter. 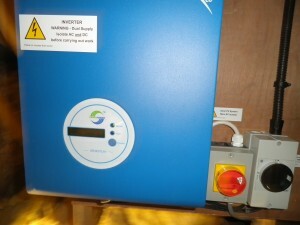 We added a monitor that integrated with their existing wind turbine system. This terraced house in Manchester has a south facing roof. 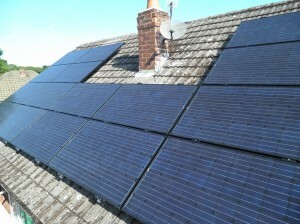 We installed 8 Panasonic 240W hybrid solar panels with a Fronius IG20 inverter. 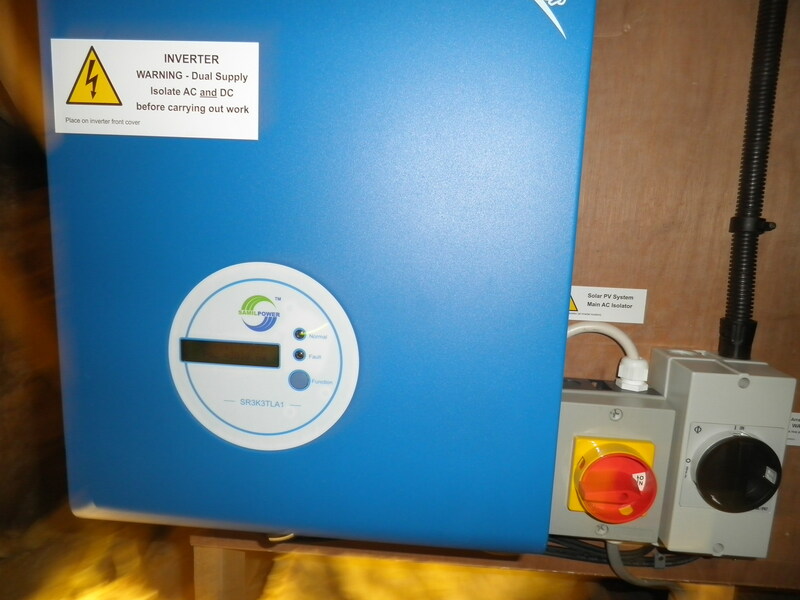 The yield projection for this system is 1681kWh per year. This detached house in Radcliffe has a south facing roof. We installed 16 Hyundai 245W monocrystalline solar panels with a Power-One Aurora PVI-3.6OUTD inverter. 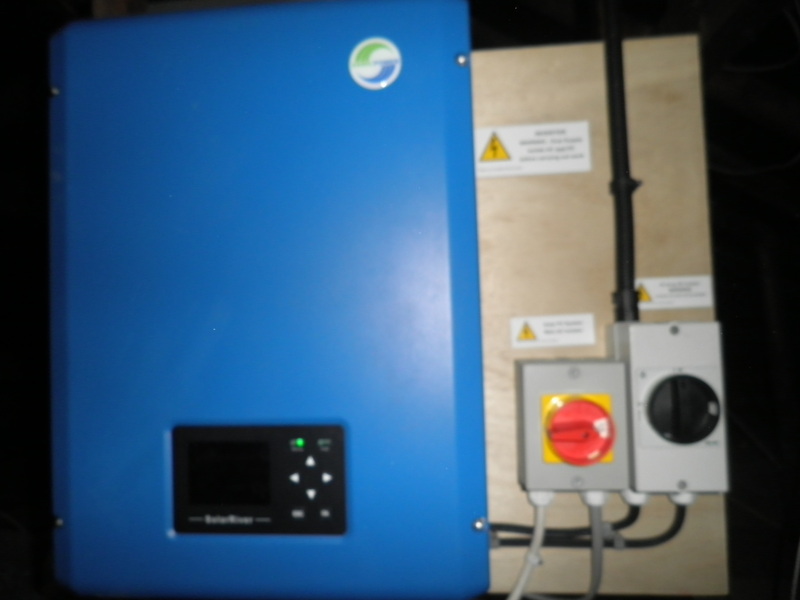 The yield projection for this system is 3462kWh per year. This detached bungalow in Smithills has a south facing and west facing roof elevations. 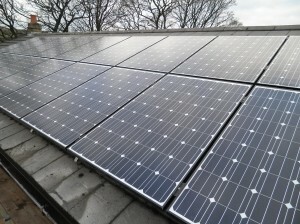 We installed 16 Phono Solar 250W all black monocrystalline solar panels with a Power-One Aurora PVI-3.6OUTD dual tracking inverter. 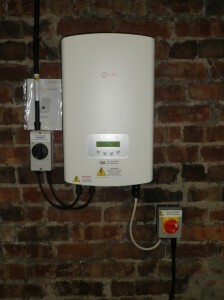 The yield projection for this system is 3171kWh per year. This detached house in Walkden has a south west facing roof. 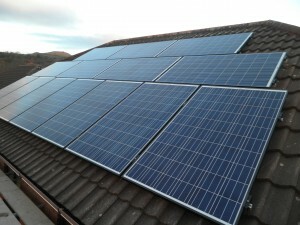 We installed 11 Suntellite 250W monocrystalline solar panels with a Samil 2300TL inverter. 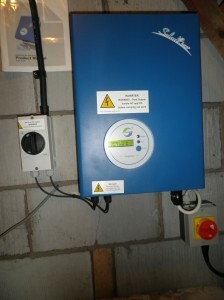 The yield projection for this system is 1749kWh per year. This semi-detached house in Wythenshawe has a south facing roof. 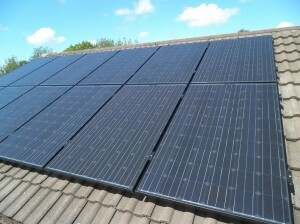 We installed 16 Yingli 250W all black monocrystalline solar panels with a Samil 3680TL inverter. 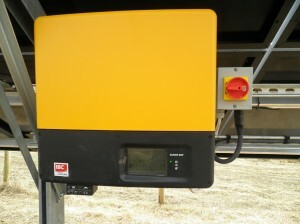 The yield projection for this system is 3286kWh per year.